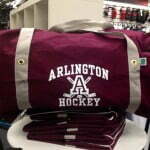 Services for Hockey & Goalie Equipment in Boston MA | Sports Etc. At Sports Etc. we know the upkeep and repair of your equipment is just as important as the initial purchase. We offer a wide range of services to make your hockey experience greater. 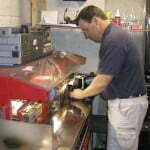 We offer professional skate sharpening; whether you are looking for a standard cut, a specialized cut, or a computerized custom radius. We fix and repair ice skate blades and holders with a very quick turnaround time. We are also a drop center for Kleen ‘N Hard equipment washing service to keep your gear clean, disinfected and smelling great. We can do almost any hockey and goalie equipment repair, rollerblade repair, and more. 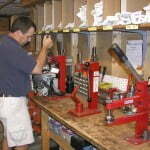 We are a full service hockey shop in every sense of the word. Even when it comes to fitting skates, we have many machines and tools in our workshop to tweak your skate for the best fit possible! We offer a wide range of team services for anything your team or program may need, including t-shirts, uniforms, jackets, etc. Contact one of our team specialists and find out what we can do for you!